Is Red Bull a media company or a beverage company? It’s a question that’s been raised quite a few times in recent years. No one disputes that Red Bull began as a beverage company, but the content it creates to promote its beverages is so well done and so popular that it often does seem like a viable business in its own right. If Red Bull wanted to, the company could probably sell ads against its own content marketing. I’d argue that Red Bull is still a beverage company because the ultimate aim is to sell beverages. If sales fell and its content marketing was no longer effective, Red Bull would presumably turn to another form of marketing and continue to sell drinks. But there’s no disputing that, for now, at least, Red Bull’s content operation functions very much like a media company. And it’s clear that more and more brands are following Red Bull’s lead and building full-fledged media divisions. Brands and publishers have been using paid links (often at the bottom of articles) for this purpose for some time. But paid links are just the beginning of what’s possible. 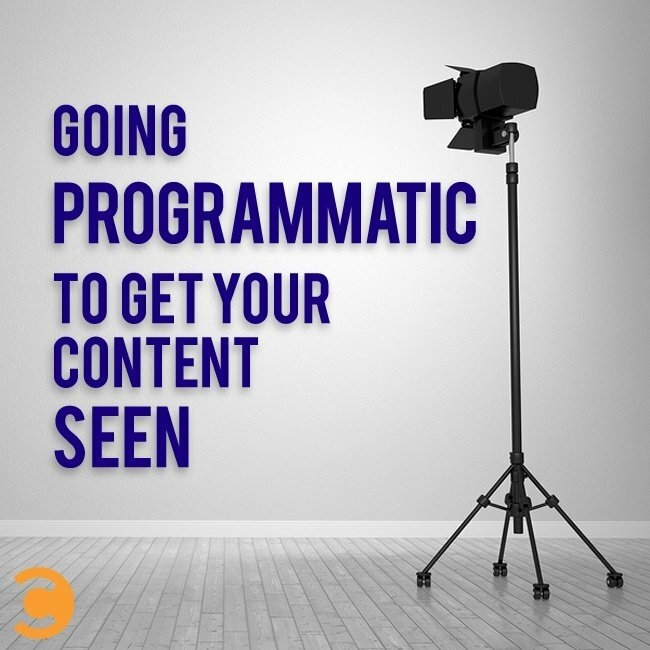 Programmatic marketing offers a wide range of options for effective content distribution. BuzzFeed, for example, uses Facebook to promote its articles, and what better way to use Facebook than via its RTB exchange, FBX. With FBX, brands and publishers can promote their articles and videos to Facebook users based on intent signals they reveal while browsing outside of Facebook. Twitter’s Tailored Audiences offering is another great programmatic option for getting a valuable piece of content to go viral. As with FBX, Tailored Audiences allows marketers to target users based on the countless hints about their interests they give off while browsing the web. Red Bull, for example, could target its videos to the Twitter feeds of people who have recently browsed extreme sports or teen sites. GE, in turn, could tweet its environment-related articles and videos to Twitter users who have purchased or viewed environmentally-friendly products. Better yet, targeting users with content doesn’t have to begin and end with social exchanges. The rise of so-called programmatic native allows brands to place sponsored article and videos on the sites (and mobiles sites) of thousands of different publishers. And, though it might not be native advertising in the truest sense, programmatic native can certainly be a very effective and efficient way to distribute great content. So, maybe Red Bull is a media company, and maybe it’s not. In one respect, it doesn’t matter at all: Both brands and publishers need to spend money to market their most valuable content, and programmatic is emerging as a uniquely effective tool for the job.